Confirmation at Good Shepherd was held May 21, 2017, with nine teens from our parish being confirmed by Bishop James P. Powers, Bishop of the Diocese of Superior. 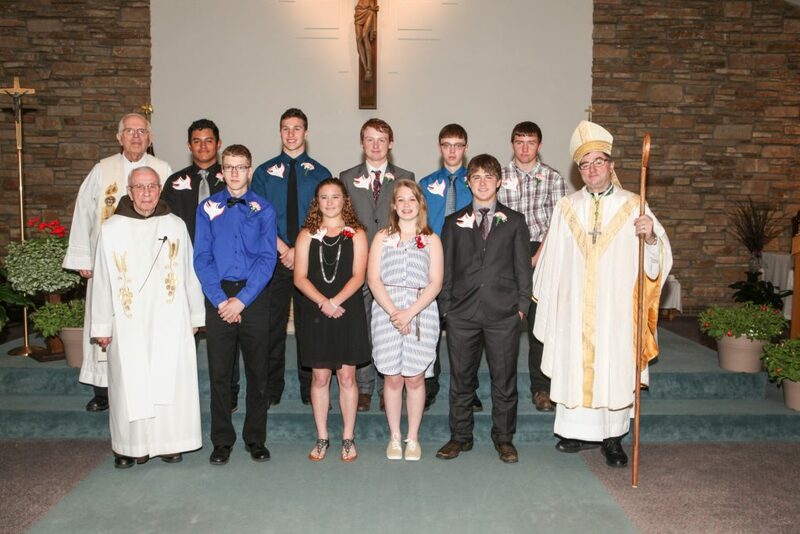 Students from Sacred Heart of Jesus Parish, Stetsonville, were also confirmed here. At that same Mass, Bishop blessed our stained glass windows in church, and a social followed in the parish hall. Photo by Northwoods Photography, Rib Lake, WI.